A thing of beauty — that’s The Creedmore. 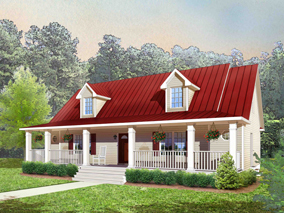 Its optional three-dormer design and stunning front porch, built on-site, give this home exceptional curb appeal. 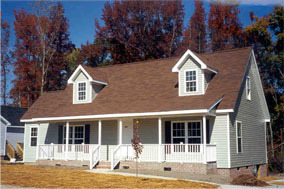 The first floor features two bedrooms, 2 baths, living room, dining room and kitchen. The suggested second floor provides the home’s third bath and two additional bedrooms.